With the National Disability Insurance Scheme (NDIS) having reached its first anniversary in July it’s time to set out some predictions around workforce challenges and trends for the year ahead, writes workplace relations expert Skye Rose from law firm Moores. The introduction of the NDIS in July 2016 presented significant challenges and opportunities for disability service providers. The shift away from block government funding for standardised services to consumer-directed care has already prompted some organisations to make radical changes to service design, workforce planning and risk management practices. Two recent reports highlight some of the growing pains experienced by the disability services sector. In June 2017, a UNSW-led research team published Reasonable, Necessary and Valued: Pricing Disability Services for Quality Support and Decent Jobs, commissioned by unions representing Australia’s community sector workers. The union report indicates that the NDIS pricing model does not properly cover the costs of disability support and would fail to ensure the delivery of high quality services. Then in July 2017, National Disability Services (NDS) published the first edition of the Australian Disability Workforce Report which paints a picture of a rapidly growing sector that is experimenting with flexible work arrangements and approaches to recruitment. Drawing from recent data and developments in the disability services sector, this article sets out our prediction of workforce challenges and trends in the year ahead. The pressure on service providers to be competitive, flexible and responsive has led to an increased demand for flexible working arrangements for the disability support workforce. The NDS report indicates that the sector has seen an increase in casual employment and, among allied health professionals, an increase in fixed-term employment (as opposed to permanent employment). Although workforce data on labour turnover suggests a period of relative stability, casual turnover rates have been much higher and less predictable than those for permanent workers. The demand for flexibility has led to fragmented working hours and greater financial insecurity for casuals, many of whom have to undertake unpaid training which is not funded by the NDIS pricing arrangements. In reality, many workers juggle multiple jobs and are at greater risk of fatigue or failing to comply with minimum breaks between shifts. Whilst there are clear benefits to having an agile workforce that can respond to changes in demand, the trend towards a highly casualised workforce is not without its challenges. 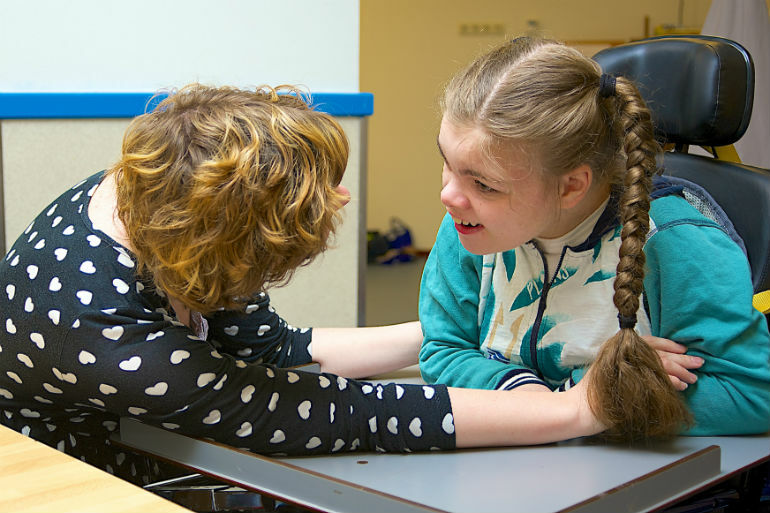 Changing consumer demand for disability services in a residential setting has resulted in many services being delivered unsupervised at the client’s home. While freeing for the worker, it also carries new and unexpected occupational health and safety risks. For example, under occupational health and safety obligations, you owe duties around providing a safe working environment for both your workers, and also members of the public. This means that you need to ensure that the environments you are instructing your workers to attend are safe, and that you are taking all reasonable steps to maintain that environment. Fail to do so, and you could face fines of up to $3 million per contravention for the organisation, personal fines, and devastating reputational damage for the organisation. Working out how best to deal with occupational health and safety risks in the context of the NDIS will depend on your service design, but a strong policy and training program will certainly help to ensure compliance. Some organisations are conducting site visits to identify and address occupational health and safety risks before work is commenced, while others are offering workers greater incentives to undertake OHS training. It will also be vital to ensure that your insurance policy covers your workers in all situations, and that you understand when you need to notify your insurer when an incident occurs. Otherwise, you may be left fitting the bill yourself. Little do people know, but the health and social services industry ranks second in terms of the total number of WorkCover claims made in Victoria (behind only manufacturing). To put it in other words, this sector represents more WorkCover claims than the construction industry, the mining industry and the electricity, gas, water and waste services industry combined. Due to the unsupervised nature of NDIS work combined with changes in work conditions and work intensity, we predict there will be an increase in the number of workplace injuries as the NDIS is rolled out. This means additional workers’ compensation claims, potential legal disputes, and a solid increase in your insurance premiums. In other words, a situation you really want to avoid. Making sure that your training, policies, and occupational health and safety framework is compliant and meets best practice will go a long way to mitigate these risks, and will be time well spent. Providers should also seek advice when a worker is injured to respond to any claim, engage with the insurer and effectively manage any return to work process. Finding out which modern award (if any) will cover your employees can be a challenging task. In the context of disability support and allied health services, it can be particularly difficult. This is because of the often flexible nature of the work, the qualifications and training required for certain roles, and the numerous modern awards that have adjacent coverage. Some providers are unaware that their employees are covered by a modern award for one service, and a different modern award for another service based on the age of the person to whom the service is provided. From an administrative perspective this can be extremely difficult to manage, yet no more difficult than responding to an underpayment claim or legal dispute about an employee’s award classification. Given the disruptive change brought about by the introduction of the NDIS, providers should carefully review their positions against the relevant modern awards to ensure that they are using the right one for all work performed. Otherwise, you could be facing large underpayment claims, fines of up to $54,000 per contravention, and personal fines of up to $10,800. The consumer driven market has led to demand for services on an irregular basis, at more unusual hours (ie not 9am to 5pm) and at different locations. Dealing with these changes from an employment law perspective will be important to avoid underpaying your employees. For example, if an employee is starting to work outside of the standard nine to five hours, you will need to consider whether they are entitled to additional remuneration under the applicable modern award or enterprise agreement (ie additional break entitlements, penalty rates or TOIL). Similarly, the relevant industrial instrument may set a minimum engagement period for a shift, usually no less than three hours. You could also explore the possibility of using independent flexibility arrangements (IFA) to ensure that the working arrangements of the employee are best suited to the needs of the organisation and employee. Importantly however, an IFA can’t be used to reduce or remove an employee’s entitlements. There is no denying that by placing additional buying power in the hands of the consumer (or their family), competition amongst NDIS providers is likely to intensify as the scheme continues to roll out. This means that providers need to think about what the client wants, how they want it delivered, and why they want it in the first place. Otherwise, it is likely that other providers in the space will move in, and fast. Whilst the union report suggests that NDIS prices “incentivise cost cutting” for organisations to stay competitive, you should always make sure that you are paying your employees their minimum entitlements. It is also clear that price is not the only motivator for individuals, and that providing a quality service with human rights based approach will remain extremely important. This may mean keeping your employees at the organisation for longer, and providing them with additional incentives to build employee loyalty. NDIS providers will need to adapt to the changing funding environment and the new world of consumer-directed care in order to flourish and survive. Not all existing disability service providers will be well suited to fully service clients in the NDIS space, and to do so will need to consider merging with another entity. When merging with another entity, there are numerous employment issues that will need to be carefully considered. For example, you may be confronted with adopting multiple enterprise agreements. This can create workplace friction, particularly when one agreement contains more generous employment entitlements than another. You will also need to ensure that the other side in the transaction does not owe any outstanding entitlements to its employees (or you have at least taken these into account in conducting due diligence), and that you comply with the continuous service provisions under the Fair Work Act 2009 for transferring employees (ie that the clock keeps ticking in relation to their accrued leave). Given the number of potential pitfalls, and the fines for doing it incorrectly, we recommend you seek advice from an employment lawyer before agreeing to merge with another entity. For providers that are reliant on individual funding arrangements, the last financial year has led to unpredictable and lumpy cash flow. Many providers are concerned that the rates that they are being paid under the NDIS will make their business unsustainable. These fiscal concerns have prompted many organisations to review their enterprise agreements, and carry out financial assessments on the cost implications of maintaining existing terms and conditions (such as wages, leave entitlements and overtime provisions) against projected funding. Providers should carry out this comparison carefully and seek advice before attempting to terminate or renegotiate an enterprise agreement. Cash flow problems do not provide an excuse for not paying employees their entitlements, so organisations need to engage in careful business planning. It will also require you to assess whether the organisation should take on workers on casual or permanent contracts. With an increase in the number of providers in the NDIS space (and the increased reliance on casual employees), it is inevitable that some of your workers will be engaged by multiple organisations at the same time. Given the potential for this arrangement to cause problems, such as breaching maximum engagement periods and risks of injury caused by fatigue, we recommend you address this issue in training and employment contracts, and properly investigate any concerns that your employees are attending work while fatigued. There will be times when an employee will depart the organisation and then seek to steal your clients. This risk arises because the employee presents as the face of the organisation and has gained the client’s trust during their engagement. In terms of what you can do to respond to the risk, it is possible to place restraint of trade clauses in your employment contracts, however it can be a difficult thing to enforce against front line staff in the sector as it may be seen as “unreasonable”. It will therefore be important to put in well-drafted restraints and confidentiality clauses (particularly for more senior staff) to enable you to protect your clientele upon an employee’s departure. We recommend you seek legal advice when placing such a restraint in a contract. 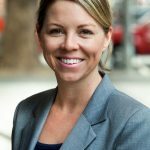 About the author: Skye Rose is a principal in the corporate advisory team and leads the workplace relations practice at Moores. Skye has extensive experience in providing advice and representation on complex employment relations issues. Contact her on (03) 9843 0418 or by email to srose@moores.com.au.